Of all the people carrying vehicles, the 2014 Honda Odyssey has to be up there as one of the most attractive. Sleek styling and elegant exterior detailing make the overall impression of the Honda Odyssey as being an MPV with class, perhaps one for the affluent. 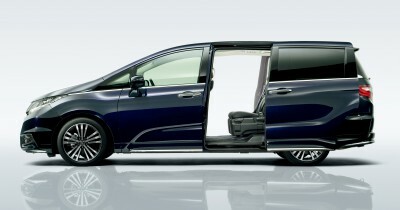 Definitely, when you open the doors and look inside, the immaculate layout and quality materials used in the new Honda Odyssey make this a people mover you’re going to want to travel in if you had the choice. There are many manufacturers that have a people carrier in their line-up; think of the Mitsubishi Grandis, Citroen Grand C4 Picasso and Ssangyong Stavic. All of these cars are capable machines, but what is it that enables the Honda Odyssey to be a popular choice for many. Let’s take a closer look at the attractive new Honda Odyssey package, and find out. If it where put down to sheer design, Honda have provided the MPV buyer with a stand out example of what a vehicle of this type should boast. The new Honda Odyssey provides plenty of room in all the seats, including the back row. With the rear gate open, take a look inside and you’ll find a deep luggage compartment that will carry plenty of extra cargo. Not only is it big on luggage, you’ll find a world first: a vacuum cleaner in the boot space! Luxury seats provide an environment where relaxed travel can be enjoyed by all. There is nothing like being able to complete a long trip in comfort. Then there is the ride. A superior MPV needs to have a ride that is composed. Take the new Honda Odyssey out for a run and, even fully loaded, there is a safeness about the way the Odyssey sits on the road and handles road undulations. There is minimal wallowing in corners, and wallowing is a sure way of bringing on car sickness in passengers. Engine and transmission are as smooth as silk in their joint operation, while the safety features have to be some of the best around. When you are carrying plenty of people in the vehicle, the vehicle needs to be as safe as possible – no questions asked. It’s what we all expect, and Honda have equipped the Odyssey with some stunning new safety features. Two Honda Odyssey models are available: the Honda Odyssey VTi and the Honda Odyssey VTi-L. Obviously, the L stands for Luxury, and be sure that you will find the very best luxury items on-board the VTi-L. 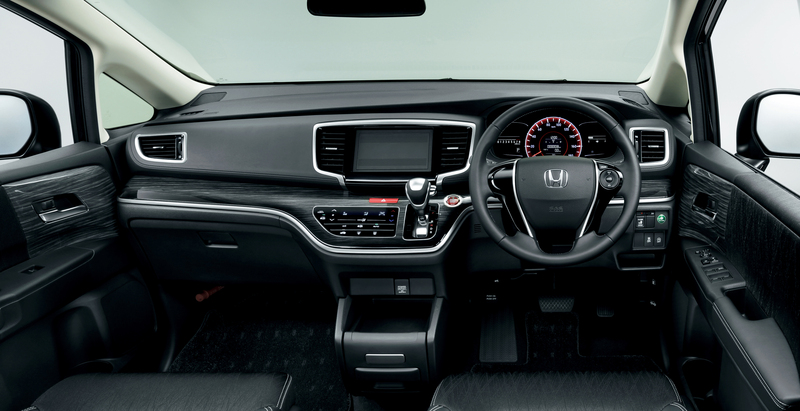 There are lots of great luxury features in the base model Odyssey, however the VTi-L does boast one or two more exciting features like: Smart parking assist, a 360o multi-view camera display, tri-zone climate control with rear controls, heated front seats, an auto dimming rear view mirror, smart keyless entry and engine start technology, leather seats, powered front seats, collision avoidance, a built in vacuum cleaner and a cross traffic warning device. What is a cross traffic warning system? A good question to ask, with numerous new technical systems being added by the year, it seems. Honda’s cross traffic warning system works when you are backing out of a park or driveway. It will alert you when it detects a car approaching from either side of the Odyssey’s rear end. It’s particularly handy when you can’t see what’s coming, initially. Both Honda Odyssey models are powered by the very reliable 2.4-litre petrol engine that boasts 129 kW of power at 6000 rpm and a peak torque of 225 Nm at 4000 rpm. Swift performance enables the new Honda Odyssey to quietly cover the miles with ease, and it’s a satisfying drive. Honda Odyssey fuel consumption is excellent, making it one of the most frugal petrol powered MPV vehicles on the road. Oh, and its impressively quiet. Treat yourself, and your family, with a brand new Honda Odyssey. For any more information on the 2014 Honda Odyssey models or, for that matter, any other new car, contact one of our friendly consultants on 1300 303 181. If you’d like some fleet discount pricing (yes even for private buyers! ), we can submit vehicle quote requests out to our national network of Honda dealers and come back with pricing within 24 hours. Private Fleet – car buying made easy!